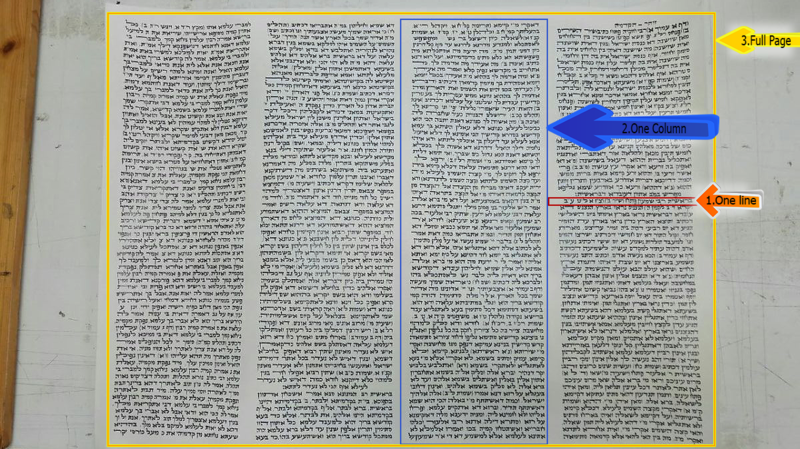 The Jerusalem Kabbalhistic Group has embarked on its next prodigious endeavor—writing the entire Zohar on parchment! With The Kabbalah as creator and head of the project, this intricate process, which is exactly the same as writing the Torah, has only just begun in Jerusalem – Each portion of the Zohar has been laid out like the Torah so that there will be a book of Genesis, a book of Exodus and so on. A number of scribes will be commissioned for the task, each writing a book at a time – with 5 books in the Zohar, and the average scroll taking anywhere from 3 to 5 years to complete, this proves to be a lengthy undertaking, but a worthy one at that! As described in the book, The Secret History of the Zohar, Rav Shimon bar Yochai was the author of the holy Zohar, as well as one of the great Talmudic and Torah scholars of the second century. Unimaginable destruction took place in the second century. It was during this time that the Roman Empire outlawed any form of kabbalistic teachings and Bible study. Eventually, the Roman Emperor had placed a sentence of death upon Rav Shimon, fearing his great power and influence. To escape the Roman soldiers, the great kabbalist and his son, Rav Elazar, took refuge in a cave in Peki’in, Israel for thirteen years. It was during this time that they received instruction in the deepest mysteries of the Torah from Elijah the Prophet. These teachings would become the foundation of the Zohar. Thereafter, Rav Shimon gathered his closest colleagues, known as the chevarim – the brotherhood or the friends – in another cave located in Galilee known as the Idra Rabba – the Great Assembly. Here the ten sages gathered to explore and reveal the teachings given to Rav Shimon during his thirteen-year seclusion in Peki’in. Rav Shimon was torn about whether or not to reveal the Zohar’s mysteries, for there was a cosmic need to reveal this mystical Light associated with the teachings, but also an equal need to ensure its secrecy. After swearing his initiates to an oath of secrecy, Rav Shimon began the revelation. Remarkably, the entire teachings of the Zohar were revealed in a single day, even though it had taken thirteen years for Rav Shimon to amass this wisdom. One of Rav Shimon’s disciples, Rav Abba, was a gifted writer with the ability to conceal the innermost secrets of the Zohar through allegory and metaphor. Thus the task of committing the Zohar’s oral teachings to written word was handed over to him. 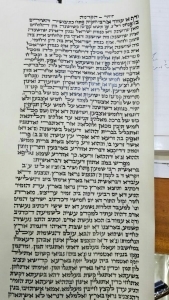 Over the next few hundred years, the seed that was planted in the Idra Rabba was nurtured as the wisdom of Rav Shimon’s original discourse evolved and developed into the form of a finished set of manuscripts written on parchment, known as the Zohar, which was deliberately hidden for many centuries. According to the teachings of the early eighteenth century kabbalist, Rav Moshe Chaim Luzzatto, the original revelation of the Zohar, in the Idra Rabba, was equivalent to a single drop of Light, providing just enough spiritual Light to sustain the world until such time in the future when the complete revelation of the Zohar would bring about the Final Redemption. 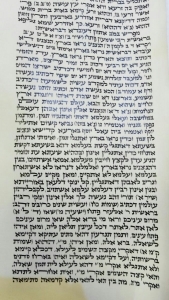 It is with great hope that in time, each Centre will possess one of the books of the Zohar on parchment to be available for readings, all-night studies, Zohar Classes and various other connections – offering more Light, tapping into a vaster consciousness and honoring the historical tradition of past generations. To complete the project, We need your help with donations. The Ramak, Rabbi Moshe Kordovero, in his commentary on the Zohar said that after the destruction of the Second Temple, the Holy One, Blessed be He, sent a holy angel, the soul of Rabbi Shimon and his friends to create support for the Shechinah for their The Zohar writings. Anyone who connects to the Zohar by reading and study, even without understanding what is, still reveals the light of the Zohar. The Zohar was written by Rabbi Shimon as a tool for the last few generations before the coming of Moshiach to reveal the light and help bring the final redemption. The Zohar in Parshas Naso commentary, quotes Raaya Meheimnah (in Aramaic, the faithful shepherd, who is Moshe Rabbeinu) that the merit of Zohar Israel will come out of exile. What is the support of the Shechinah? Why Rabbi Shimon had to do that? How does the Zohar? Before my explanation please remember the commandment shall not make an idol or image of worship, which means that we should not imagine God in any physical form. Creates images God limitation may not apply to Di-s. In the process of the creation of the world, such as Hakadosh Ari explained in the writings of the Tree of Life, the Light of the Creator created a space to create the physical existence of us and removed himself from it. There is a separation of Light and the vessel. Before the creation of Light and Vasija they were one. The Shechinah is the feminine aspect of light that is close to us (spiritually) and gives us the ability to connect to the supernal light. To understand this spiritual system I will use the example of an electrical circuit. A circuit has land, consumers (components such as a light bulb, etc …) and a power source. When the desire to connect wakes up (turn on the switch), the energy source (electricity power) provide the electromagnetic wave photons (light units) at the speed of light. The Shechinah is as part of circuit ground, without it nothing could happen, there is no flow of Light. We are consumers without the force of light, are nothing but darkness (death). The strength of the light is always there, waiting for us, requires desire and connect. Light provides energy to the consumer without questioning why they desire. After the destruction of the Second Temple, we lost electrical outlet in the world (the Holy Temple) and the operator (Cohen), can not be used to draw the Light to us. Di-s gave Rabbi Shimon to create an alternative system to keep the world and to allow the flow of Light. Rabbi Shimon and his friends were ten special souls who had the ability to connect the spiritual with the physical. The Zohar is written in codes and veils after veils to cover their high energy in order to protect people who deal and study it. The most important work is Tikunei HaZohar, which are 70 ways to spell the first word that begins with the Torah, “Bereshit”. Tikun means correction and 70 corrections establish a connection between the Light and the Kli through the sefirot 7 (with ten levels in each) In other words, God and the Shechinah can be connected without the Holy Temple . The Zohar tool we can connect and create the unification of the high and low to extract light. On the 33 day of the Omer, Rabbi Shimon had the power to control reality and death could not touch him. The Angel of Death accuses God Rabbi Shimon s because it lets you do your job. There is a story in the Zohar that shows how Rabbi Shimon stopped the angel of death to take the soul of Rabbi Yitzchak, one of his students and promise to bring his soul when he leaves the world. Rabbi Shimon chose the day 33 of the Omer to leave the world as it was at the level of Hod sefirat. There are seven weeks in the count and each represents a different Sefirah week, starting from Hesed to Malchut. The Hod sefira represents the complete vessel (Kli) After Hod comes Yesod, which is the light funnel to the last Sefirah Malchut. At the level of Hod the container is full and opening sefira Yesod (the light channel) was formed. The Omer is completed one day before the festival of Shavuot, when we delivered the Torah. The counting process builds our vessel (kli) to receive the Light of the Torah on Shavuot. On day 33, the Ari explains that trials are stopped and reveals the light of mercy and begins to flow. That is why the plague that killed 24,000 students of Rabbi Akiva stopped on that day. When a righteous leaves the world his energy and all his revelation of the light remains in this world. Rabbi Shimon chose this day so we can count on the support of his work, the Zohar, and extract light to our lives. kabbalahtalismans.com was created as a free soul connection tool-for you, for us. We live on the same planet, breath the same air, and drink the same water. No matter how you look at it, we are one. We can achieve the Ultimate Global Unity by going above all physical limitations and join in one consciousness with all the people around the world that are already part of the Zohar Project. You are not joining a club or a teacher or organization. There are no gathering places to meet and no fees to pay It is all about ONE consciousness of love and unity. It is a spiritual place that connects your consciousness in unity with the rest of the world using the light of the Zohar. The thread that connects all readers can run around the world many times until the writing of the Zohar is completed. When the last paragraph is read then we increment the reading cycle counter by one and the process starts over again. Please share this project with your friends to bring the light of the Zohar to shine all over the world. Be one soul with all the souls that seek and wish the light of the creator to shine over the entire world. At the opening of the Idra Rabah, which is the Greater Assembly, Rabbi Shimon sat with the friends in a circle. They held hands and Rabbi Shimon said ”It’s all depending on the love among us”. With every completion of Zohar writing cycle we increase the light in the world and help fulfill the prophecy of the Zohar ”בספרא דא יפקון מן גלותא ברחמי” ”With this book (The Zohar) they will go out of exile with mercy”. Exile is the state of distance from the light that we are experiencing now. The chaos in the world is the result of lack of light. Let us spread the light unconditionally everywhere we can reach. This is why we need your help with donations, and we believe that you will be blessed in all area’s of your life.